Inspired by Christ’s healing ministry, ACHAP supports Church related health associations and organizations to work and advocate for health for all in Africa, guided by equity, justice and human dignity. To facilitate networking and communication among Christian Health Associations and other Church Health Networks in Africa. To facilitate joint advocacy with and for the Christian Health Associations and Church Health Networks in Africa on matters of health development. 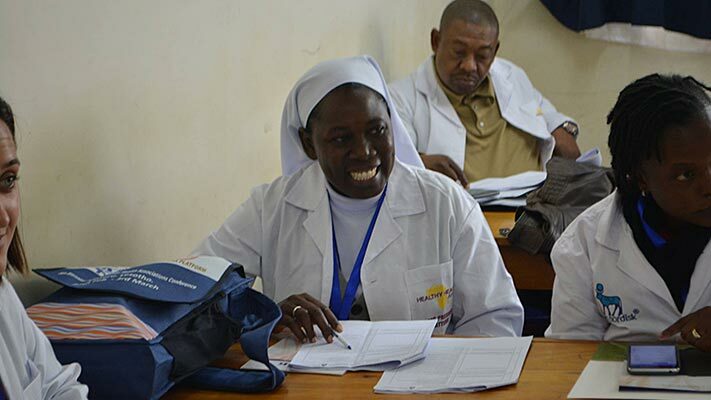 To support the capacity development of Christian Health Associations and Church Health Networks to provide quality health care through Church Health Networks. To establish and maintain partnerships with other institutions and organisations in support of health development in Africa.